On June 9, 2017, the Bureau of Safety and Environmental Enforcement (BSEE) issued a direct final rule that extends the amount of time a lessee or operator is given to resume operations or to seek a suspension of operations (SOO) or suspension of production (SOP) to retain an offshore oil and gas lease beyond the primary lease term. The rule, which lengthens this period from 180 days to one year, was specifically required by the Consolidated Appropriations Act of 2017. It also furthers the Trump Administration’s efforts to address agency actions or policies that burden the development or use of domestically-produced energy resources, including oil and natural gas, as set forth in Executive Order (E.O.) 13783 (‘‘Promoting Energy Independence and Economic Growth’’). This Alert discusses the origin, purpose, and content of the rule and provides thoughts about how issuance of the rule may signal broader policy reforms aimed at allowing operators flexibility to develop resources in a safe and environmentally responsible manner in frontier areas and in challenging operating conditions. On May 5, 2017, President Trump signed into law the Consolidated Appropriations Act of 2017 (Act), directing the Secretary of the Department of the Interior (Secretary) to issue a final rule within 30 days revising BSEE’s regulations at 30 C.F.R. § 250.180. At the time the Act was enacted, section 250.180 stated that an outer Continental Shelf (OCS) lease would expire under the following circumstances: (i) if the lessee or operator stopped conducting leaseholding operations (drilling, well-reworking, or production in paying quantities) during the last 180 days of the lease term; or (ii) on a lease that has continued beyond its primary term, unless the operator resumed operations, or received a SOO or a SOP from the BSEE Regional Supervisor, within 180 days from stopping operations. The Act specifically mandated that BSEE revise the language of this section to extend the 180-day period to one year. Acting at the behest of Congress, BSEE published the rule extending the 180-day period on June 9, 2017, to take effect immediately. Although the Act only directed the change to section 250.180, the rule also makes a conforming modification to section 250.171, which BSEE determined was necessary to fully effectuate the change directed by the Act. Section 250.171 establishes the procedures for requesting either an SOO or SOP, and the introductory sentence to that section had specified that a request must be received before the end of the 180-day period following the last leaseholding operation. Without the conforming modification effectuated by the rule, BSEE’s regulations would have created the absurd result of requiring SOO and SOP applications to be filed six months before lease expiration, which would have caused administrative complications and would have undermined the clear intent of the directed modification to section 250.180. BSEE noted that the rule was not subject to review under E.O. 13783 both because it was mandated by Congress in the Act and because it would not burden the development or use of oil or natural gas, but was instead “deregulatory in nature” and aimed at “decreas[ing] existing burdens on offshore producers of oil and natural gas.” BSEE also concluded that the rule was consistent with the policies set forth in E.O. 13795 (“Implementing an America-First Offshore Energy Strategy”). This is not the first time that BSEE has addressed the 180-day period. In May 2015, Senator Bill Cassidy introduced the Offshore Energy and Jobs Act of 2015 (S. 1276), which would have directed BSEE to extend the 180-day period to 270 days. Shortly following that, in June 2015, the agency issued a Notice to Lessees and Operators (NTL No. 2015-G01) purporting to respond to industry concerns that “additional time is needed between the drilling of such wells due to the time required to comply with new regulations and guidance, design complex wells, receive plan and permit approvals, and commence drilling.” NTL 2015-G01 provided that, on a case-by-case basis, BSEE would consider granting up to 270 days between drilling operations. However, NTL 2015-G01 contained a detailed list of information that BSEE required to support any such request and mandated that the lessee/operator demonstrate that any extension was in the “national interest.” Many found NTL 2015-G01 to be exceedingly narrow and insufficient to address industry concerns, and in September 2015, Senate Energy and Natural Resources Committee Chair Lisa Murkowski reported the Offshore Production and Energizing National Security Act of 2015 (S. 2011), which would have directed BSEE to extend the 180-day period to 365 days—similar to the direction ultimately included in the Consolidated Appropriations Act of 2017. In enacting the Outer Continental Shelf Lands Act (OCSLA), 43 U.S.C. § 1331 et seq., Congress charged the Secretary with making OCS minerals available for “expeditious and orderly development” while protecting the safety of workers and the environment. 43 U.S.C. § 1332(2). Existing policies developed to implement this congressional mandate, however, have not kept pace with technological developments and market conditions. 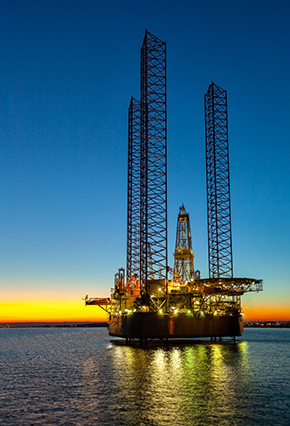 Modern offshore operations are highly capital-intensive and present complex challenges, including ultra-deepwater operations, High Pressure/High Temperature conditions, and increasingly complicated infrastructure and technology requirements. Given the increased complexity and cost associated with developing OCS oil and gas resources under these conditions—and the need to do so in a way that accounts for both health and safety and the environment—many contend that the time is ripe to reform the way that both BSEE and the Bureau of Ocean Energy Management (BOEM) administer operations of the OCS—including with respect to the primary lease term. In some instances, OCS reforms may be achieved through the exercise of discretion that the agencies already possess. However, more formal changes are also necessary and appropriate to ensure that the regulatory regime evolves sufficiently to foster technological innovation and to allow the U.S. to remain an attractive place for companies to engage in offshore oil and gas development. BSEE’s rule, therefore, should be seen as a positive step toward the much-needed modernization of federal regulations and policies governing OCS exploration and development. Likewise, the Trump Administration’s broader goal of eliminating agency actions that potentially burden development of energy resources—as articulated in E.O. 13783 and E.O. 13795—provides those interested in further developing U.S. offshore oil and gas resources with a significant opportunity to engage in further dialogue with policymakers over the types of reforms that can be made to the U.S. regulatory system to ensure that the U.S. OCS remains at the forefront of offshore production and innovation. Van Ness Feldman LLP is available to assist clients in navigating the complex regulatory environment governing oil and gas operations on the OCS, including understanding potential options available to operators under BSEE’s suspension regulations. If you have any questions on these issues or any of BSEE’s regulatory activities, please contact Michael Farber, R. Scott Nuzum, or Jonathan Simon at 202-298-1800.